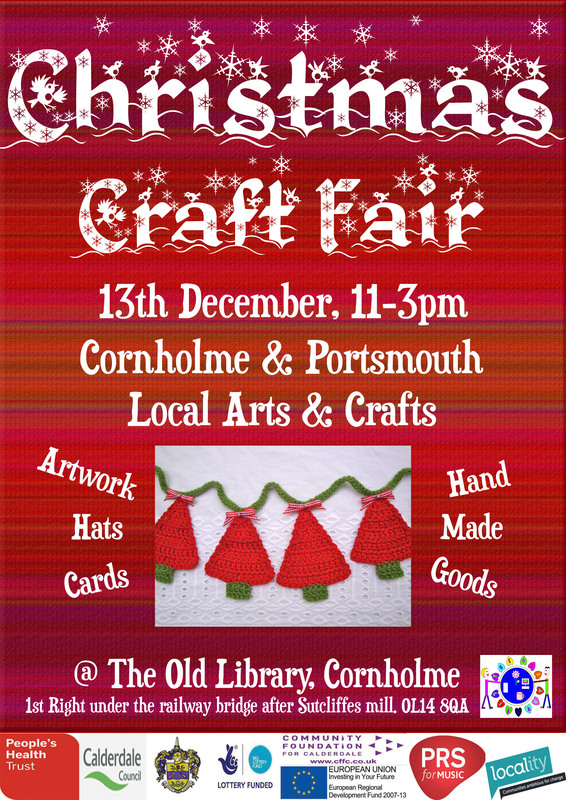 Come down on Saturday 13th December from 11-3p.m, and take a look at some of the beautiful things made in Cornholme & Portsmouth. Local artists and craftspeople will be selling artwork, hats, toys, cards etc, all handmade. Refreshments are available. Free entry. ← What’s on the Menu with the Meals for £1 Cooking Course this week? ?